Part of the reason I'm not exactly thrilled about the Wii U isn't because of its hardware, it's because of the games. I want to see what a new Zelda game or a new Mario game looks like on the console. And when I say new, I mean new. So I like what artist Luigi Lucarelli is doing here. 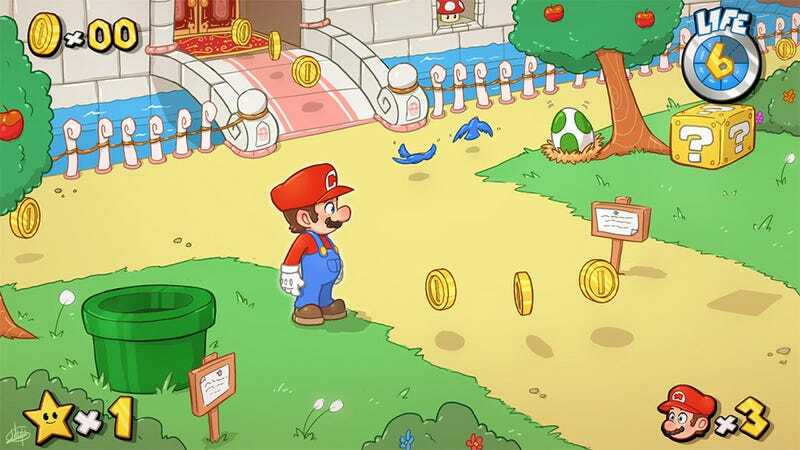 This is his idea for "Super Mario Universe", a new Mario game that involves large, open worlds to explore. And, hopefully, some nice cartoon graphics to boot.